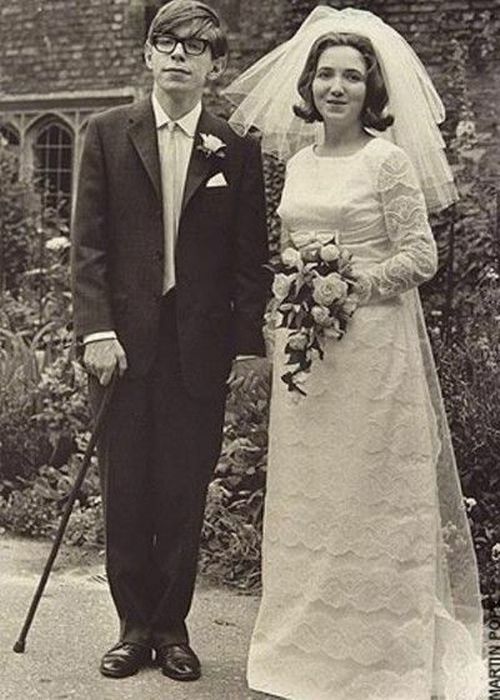 Young Stephen Hawking with Jane Hawking, his first wife. The Theory of Everything, the new movie about English physicist Stephen Hawking, hits theaters November 7th. The film chronicles Hawking’s life before, during, and after his crippling medical diagnosis. If you can spare a few minutes, watch the trailer. It’s stunning. In case you missed it, check out John Oliver’s recent interview of Hawking. The interview might also make you cry—since it’s so funny. Have you ever wondered how long you could survive on Venus or Mars, without a spacesuit? 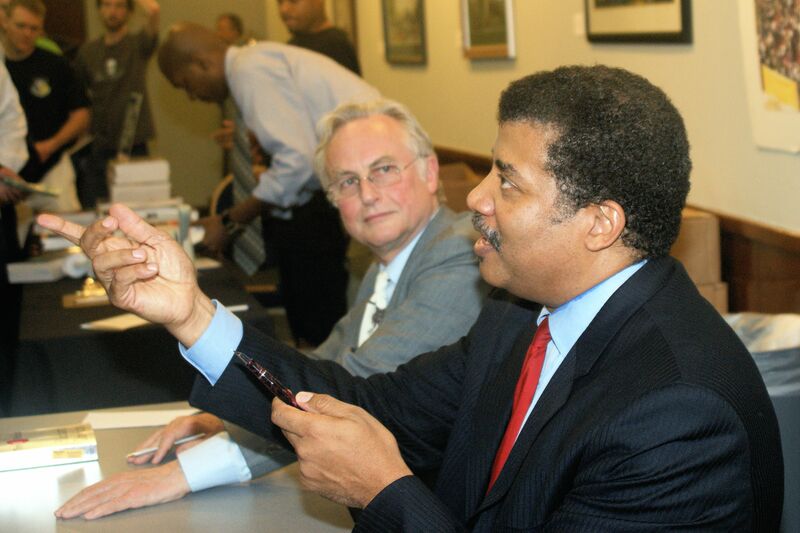 Tyson tells you just how long you’d last on every planet in the solar system. I take issue with his advice about Mars, though. I guess Neil has never seen Total Recall, or Arnold’s brilliant commentary on it. [I]s it any more degrading to the dignity of man to accept that he evolved from the primate than that he evolved from stardust? Primates, at any rate, can use tools. If Christians have no problem accepting the Big Bang Theory, and stellar evolution, why does biological evolution make them antsy? Mills claims the reason is that biological evolution, much more so than the Big Bang, raises a thorny question: Do natural explanations of the world invalidate divine action in it? God is the grand watchmaker, and we can detect God’s tinkering within biology. Natural explanations account—entirely—for biological life, making God unnecessary. Rejecting this contrast, Mills cites an 18th century dispute between Samuel Clarke, an English philosopher and clergyman, and Gottfried Leibniz, a German philosopher and mathematician. Clarke argued that God needed to intervene in the universe to tinker with, and uphold, gravity. According to Leibniz, God, the most perfect being, creates the most perfect universe possible. If God were needed to intervene constantly in the natural order, then creation would be lacking — imperfect. The most perfect universe possible is one in which natural, created, things are governed by natural, knowable, causes. . . . The Christian God, Leibniz reminded the English clergyman, is not a natural cause of things, but rather the cause of all natural things. God is . . . the transcendent source of being. But why assume that a universe requiring constant direct divine intervention is more perfect than one in which natural things are governed by complex, even random — if knowable — natural causes? Many Christians accept the latter notion when it comes to physical nature. Why not accept it when it comes to life? Evolution is nothing more than a fairly simple way of understanding what is unquestionably happening. You don’t believe in it — you either understand it or you don’t. Blanchard’s short article is worth reading. Speaking of framing dialogue about evolution differently, this piece made me think about a book from conservative Christian scholar Denis Lamoureux: I Love Jesus & I Accept Evolution. Note Lamoureux’s title. It says that he “accepts” evolution, not that he “believes” in it. Have any thoughts about this week’s buzz?